Adjust nozzle to give coarse wet stream. Aim at weed; pull trigger. Only short bursts are necessary. Apply in May, June or September. Do not water for 24 hours. Rain within 6 hours reduces effectiveness. 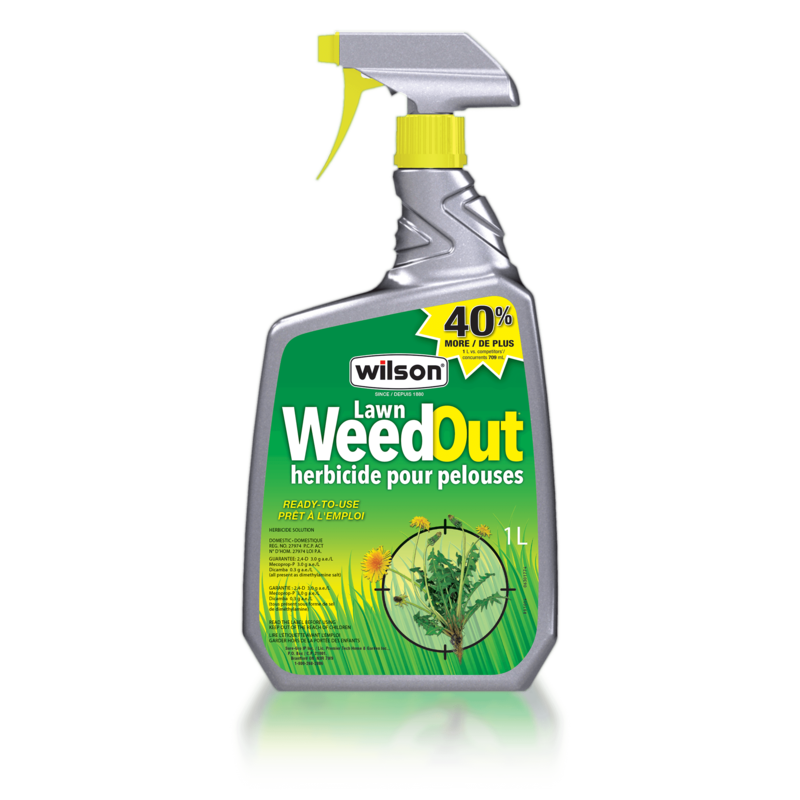 Spray acts within a few days and weeds gradually die. Bedstraw, Black Medic (Yellow Clover), Buttercup, Chickweed, Clover, Dandelion, Devil's Paintbrush, English Daisy, Ground Ivy (Creeping Charlie), Heal-all, Knotweed, Narrow-leaved Plantain (Ribgrass), Plantain, Poison Ivy, Ragweed, Shepherd's purse, Wild White Clover. Do not allow people (other than the applicator) or pets on the treatment area during application. Do not enter treated areas until spray has thoroughly dried. Do not apply to newly seeded lawns until after the 3rd mowing.